You'd think we'd have seen everything there is to see in Bali by now, but we still had more to do, and only a couple of days left. We asked Dewa if he could take us out on another day trip. First stop was Pejeng, a village quite close to Ubud, where the Moon is said to have fallen to Earth. Pejeng is a sleepy little village with hardly any tourist traffic. 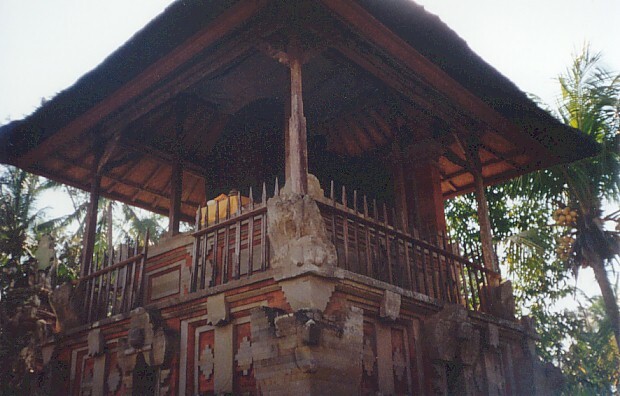 In the temple is the famous "Moon of Pejeng" - an ancient iron kettledrum / gong that is mentioned in Colin McPhee's seminal book "A House In Bali", written in the 1930's before Bali really opened up to mass tourism. 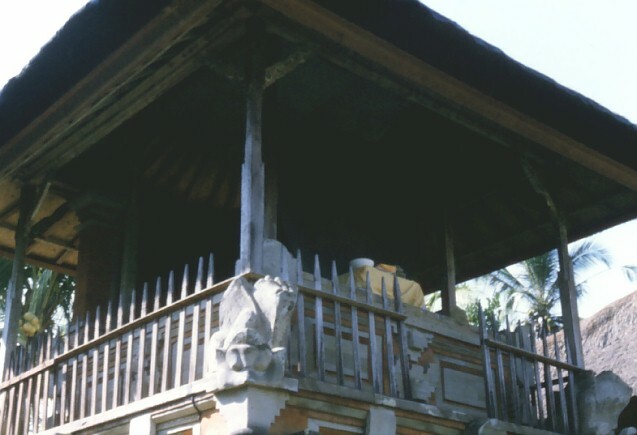 McPhee had lived not far from Ubud, and had explored the area thoroughly (and had fallen in love with gamelan music in the process). 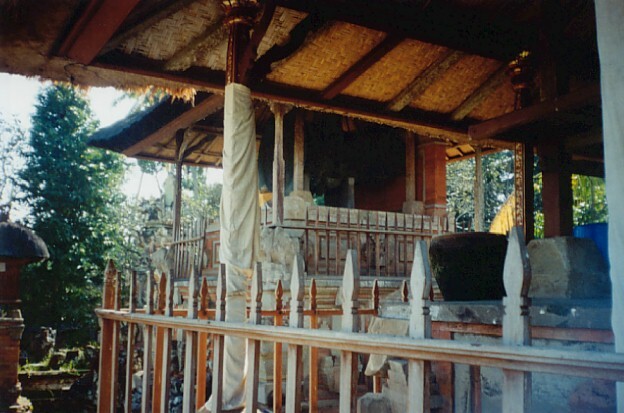 The Moon of Pejeng is housed in a low tower - unfortunately it's hard to see in these pictures. Legend says it fell from the sky. Once upon a time, says the legend, there were actually 12 moons, and this one fell to Earth. It's very ancient - and has been ancient for as long as anyone can remember - and is hardly ever played today. It's also quite huge - the largest kettledrum in existence. It actually seems to be a flat iron gong with a huge iron bell-like sound chamber behind it - probably sounds awesome.